There are many advantages of SGPV compare with the traditional grid tie system. 1. Low cost and easy installation - SGPV can make full use of all types of buildings’ surface that face to the sun in the city as well as fast and easy installation of solar modules and grid tie inverter. It's very low maintenance costs. 2. Free combination - SGPV can be used as a separate grid tie system and can be setup as a large solar array with many of them. The quantity of SGPV in the array is just according to your desire. If you are planning to install a grid-tie PV system, in a general way, the solar array and inverter need to be carefully matched to ensure that the inverter’s voltage and power limits are not exceeded. When you want to increase more solar panels, and if the total power of the solar panels exceeds the allocation grid inverter, it is necessary to increase the cost of a grid inverter. 3. Combination of SGPV does not interact - The traditional solar grid tie system, they offer units ranging in high power output and these units are modular so you can have multiple units operating in parallel for large solar arrays. Although, the traditional grid inverter has MPPT feature (Maximum Power Point Tracking), but the maximum power point is according to the entire series in terms of solar panels array, if the performance of a piece of solar panels in the system, for some reason, such as leaves, bird droppings, dust, shadow, etc., degrades, the performance of the entire solar power system will decrease. 4. Improving the efficiency of the entire solar power system – In traditional grid tie system, the solar panels are connected in series, so the MPPT of the inverter is according to the total panels in series, not to every panel, but there is difference between every panel, so not every panel is working at the maximum power, this will reduce the total power of these panel in series. 5. Low power consumption – Most of the parts in the small grid-tie inverter are digital ICs and low power MCU, so the power consumption of it is low, though the quantity of grid tie inverters is increased, but this will not increase the power consumption of the entire system. The individual system of SGPV is shown in Figure 1. 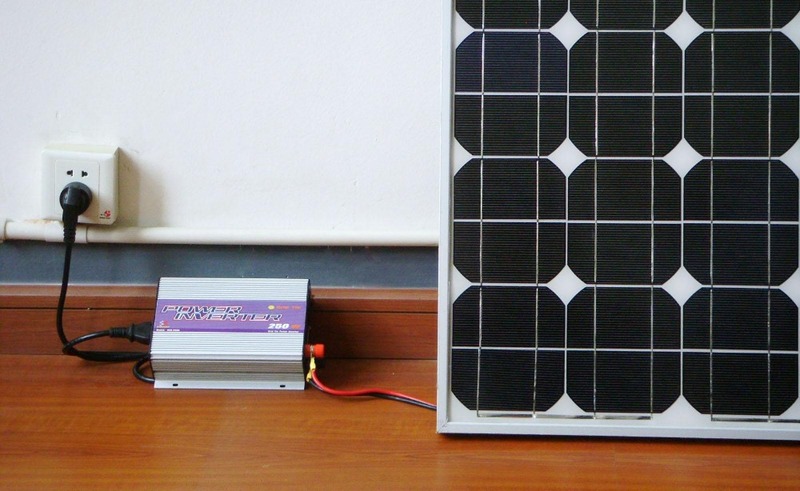 Installing the solar panel of the SGPV at a suitable location that sunshine can irradiate on it, connecting the cables of the solar panel to the DC input terminals of the small grid tie inverter of the SGPV, inserting the plug of the inverter into the socket of the home grid. After this, when the sun shines, the SGPV will convert the solar energy to the home grid. 1, Connect the Solar Panel or Wind Turbine’s DC supply cables to the DC input terminal of the inverter, be sure that the polarity is correct. Recommended DC input cable size for maximum output is 8AWG or cables that can handle more than 30A. Optimal length would be less than 8m, longer cables will experience higher voltage drop. The range of output power of Solar Panel or Wind Turbine is 20W~250W. 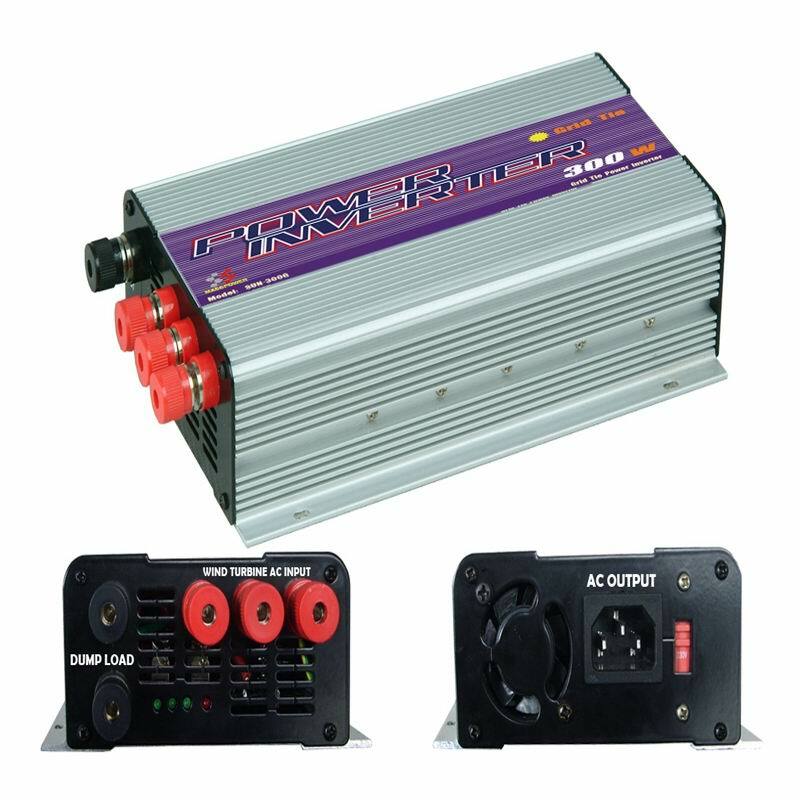 2, Put the AC output voltage switch on the inverter to the correct position (115V or 230V) according to your location home grid AC voltage. 3, Connect the supplied AC power cord to the inverter and plug it to a home wall socket. 4, The 3 green LED indicators will start to cycle from left to right when the grid and DC supply is detected. This indicates the inverter is operating under normal condition. The rate of the cycling is according to how much power is being output from the solar panels or the wind turbine. The more big output power is, the more fast the rate is. If there is no AC grid detected, the red LED will be on, the inverter will not put out power, this is called “Island Protection”.